The physics of our universe is far stranger than science fiction. The quantum world is full of strange phenomena – phenomena which our understanding of physics can’t make sense of. This is why the quantum word has its own set of rules called quantum mechanics. One such phenomenon, which Albert Einstein once called “spooky action at a distance” is quantum entanglement. Though it seems like something straight out of science fiction, entanglement is real and can even be observed. However, 50 years ago, physicist John Bell suggested there must be an upper limit (or Bell’s inequality) to the degree to which measurements on each member of the pair of particles could be correlated – as every particle in the universe has its own definite measurable properties. Physicists have, however, observed correlations that exceed this upper limit, suggesting actual entanglement. Each of these tests have been subjected to “loopholes” that try to explain away these correlations. Now, researchers from the MIT, the University of Vienna, and elsewhere are working to close one these loopholes. The freedom-of-choice loophole, which suggests that human factors — an experimenter’s lab setup, choice of particles to entangle, measurements they choose to focus on, etc. — end up highlighting certain variables that display quantum entanglement when they aren’t actually present. “The real estate left over for the skeptics of quantum mechanics has shrunk considerably,” said researcher David Kaiser, the Germeshausen Professor of the History of Science and professor of physics at MIT. “We haven’t gotten rid of it, but we’ve shrunk it down by 16 orders of magnitude.” They published their findings in the journal Physical Review Letters. To be as random as possible, the team decided to observe ancient photons from stars as “cosmic setting generators.” They focused on stars capable of sending enough photons to their direction – the closest of which was about 600 light years away. The team installed two sources at the University of Vienna and the Austrian Academy of Sciences to receive starlight and to produce entangled photons, which they then measured. “We find answers consistent with quantum mechanics to an enormously strong degree, and enormously out of whack with an Einstein-like prediction,” Kaiser explained. “All previous experiments could have been subject to this weird loophole to account for the results microseconds before each experiment, versus our 600 years. So it’s a difference of a millionth of a second versus 600 years’ worth of seconds—16 orders of magnitude,” he added. This experiment is an example of how improvements in technology help us to better observe the cosmos and understand how things work. 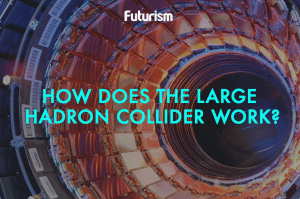 One example of this technology is the Large Hadron Collider (LHC), the world’s largest particle accelerator that’s allowed us to understand much about the quantum world without resorting to observing stars all the time. As far as understanding quantum behavior is concerned, we need all the help we can get.